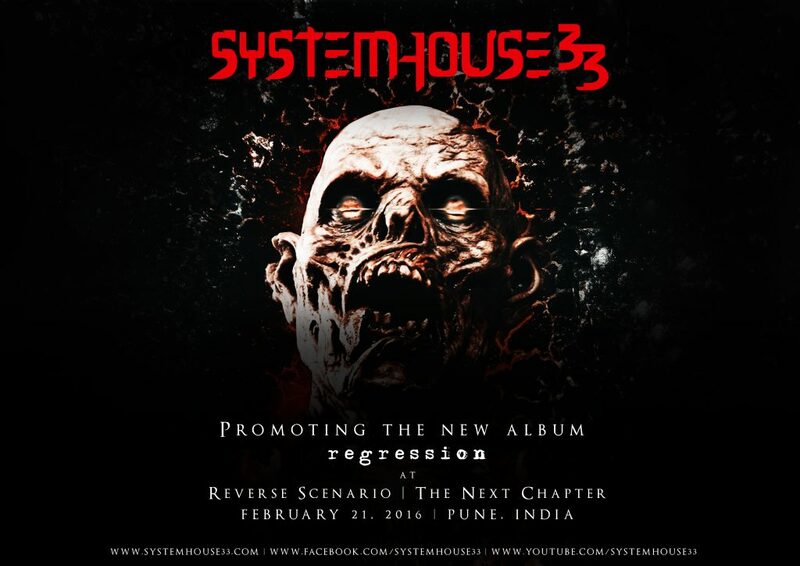 SystemHouse33.com – Following the first ever European tour with Six Feet Under and the new album launch – Regression , SystemHouse33 will be part of the line-up at Reverse Scenario | The Next Chapter that takes place on February 21, 2016 in Pune, India. This gig will also be the band’s first gig in India since their return from the Xmas in Hell tour in Europe. The other bands in the lineup are Bhayanak Maut, Kryptos, Albatross, Sceptre, Reptillian Death and Last Rituals. Physical copies of Regression along with other merch will be available at the gig.